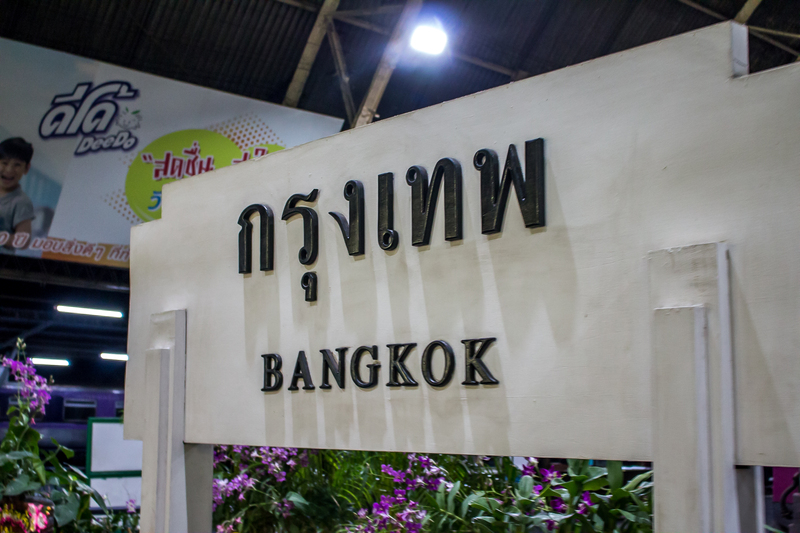 Landing in the bustling metropolitan city of Bangkok the golden sandy beaches, crystal clear waters and blue skies one imagines when they think of Thailand seemed oh so far away. 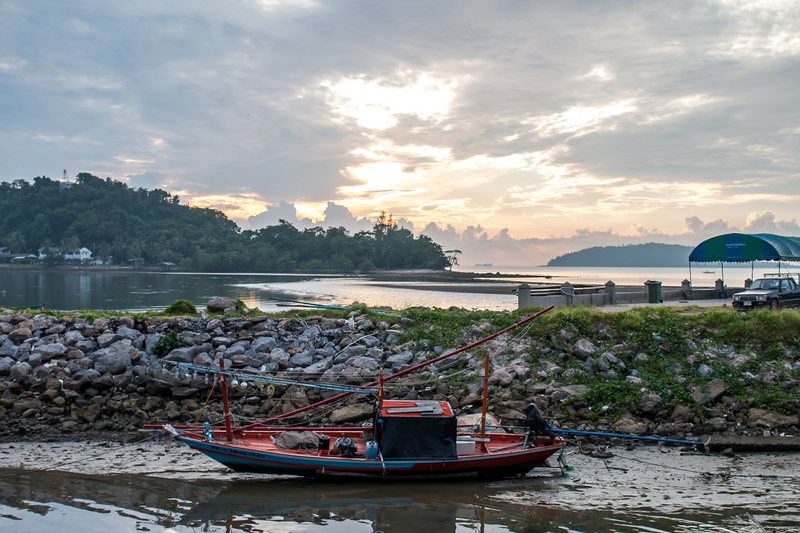 But the beauty of this Asian country is that city, jungle, golden sands and glorious island paradise all exist within a few hours, you just have to figure out your way to get between them. 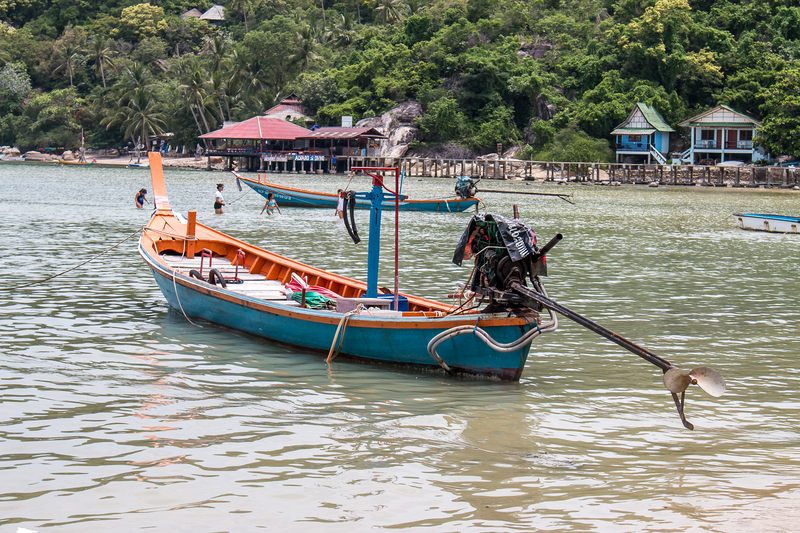 Below I’ve outlined the details of our island hopping adventures. Upon landing in Bangkok we used the underground system to get into the city. 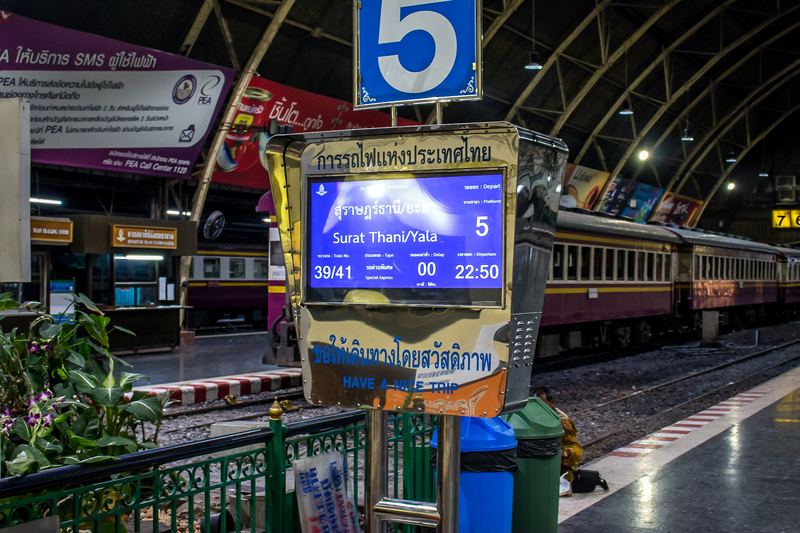 Quick, simple and easy to negotiate, the train system is a reliable and tourist-friendly way to get around, with signs in both Thai and English and lots of helpful people around. 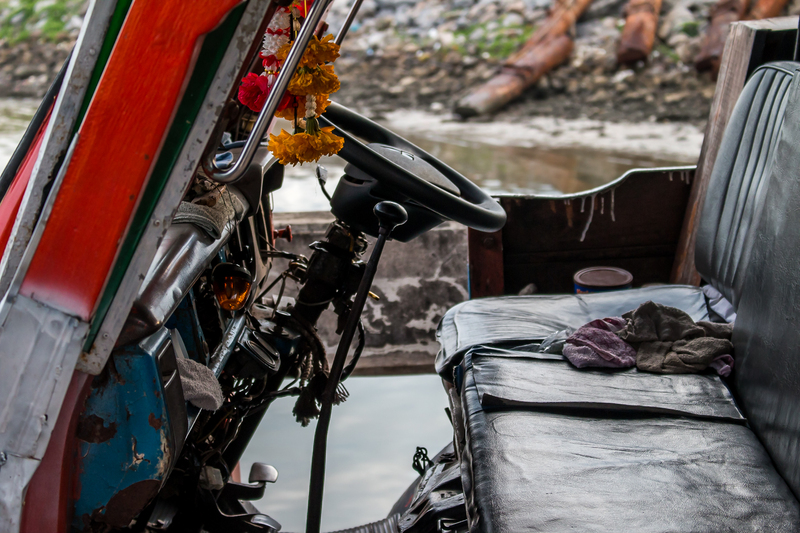 As you may have seen in my previous post, in the city, we used tuk-tuks and river ferries to get around from one area to the next, although we also found that a lot of the attractions we visited were within easy walking distance to one another. 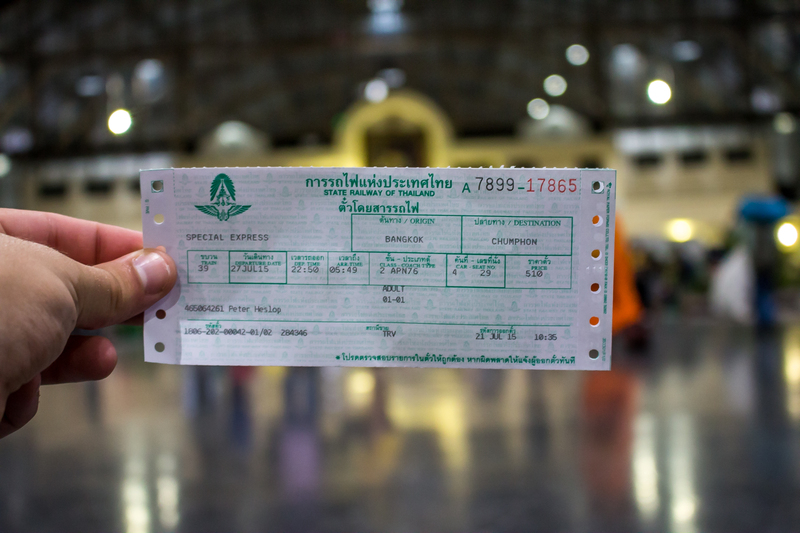 To get from Bangkok to Chumphon, where we were catching the ferry to Koh Tao, we took an overnight sleeper train. 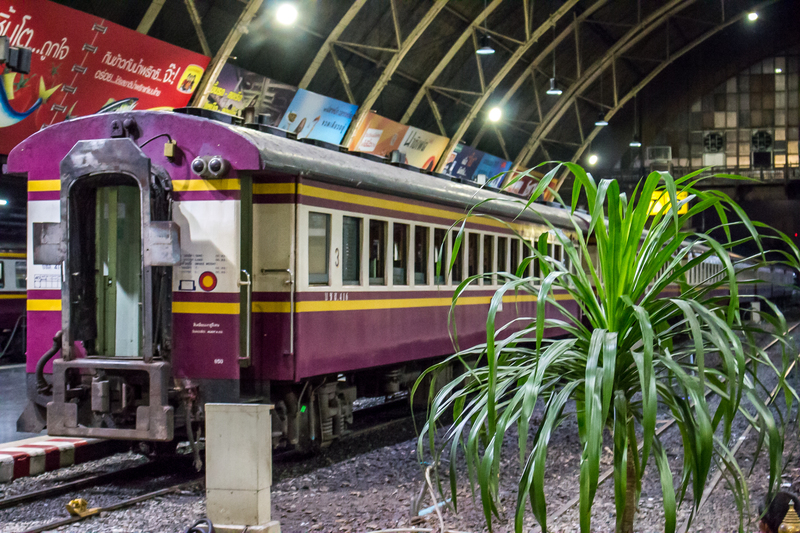 Having been unable to book beds, I can’t say it was a comfortable adventure seated in the dark, fridge-like train carriage – but we got there all the same. In order to negotiate which train companies to use and the best transport links to get us from A-B, we used the blog, Man in Seat 61 to aid us in finding the right train at the right time. 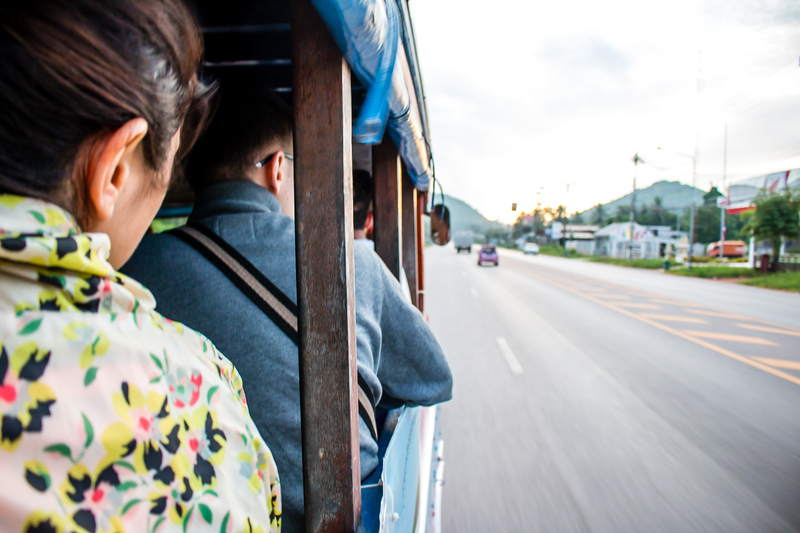 I couldn’t recommend this blog enough for advice on train travel well… almost anywhere in the world! When we got to the ferry port, the early morning sun was reflecting off the surface of the water and the clouds made pretty patterns in the sky. 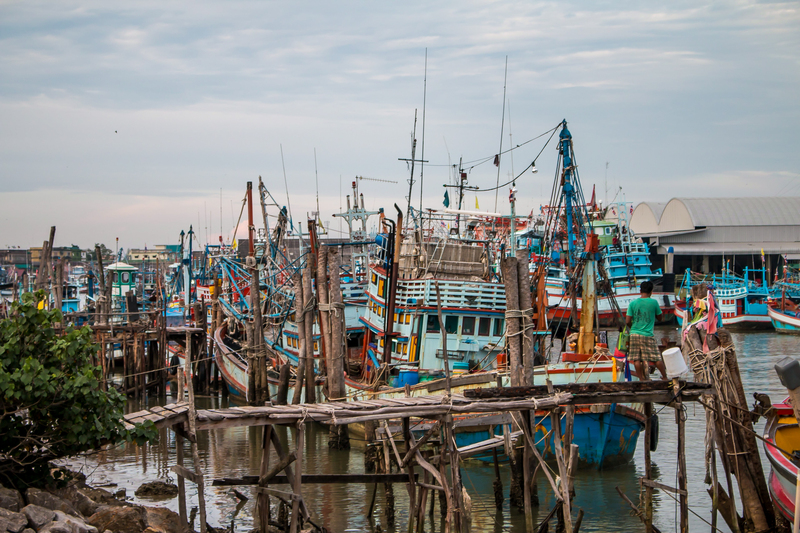 Traditional Thai fishing boats lined the banks in bright and beautiful colours and fishermen could be seen stringing nets together, gathering tools and raising fishing lines. The ocean was still, mirroring the sky. Silhouettes of the exotic islands on the horizon, where golden sandy beaches and crystal clear waters awaited. What a site. 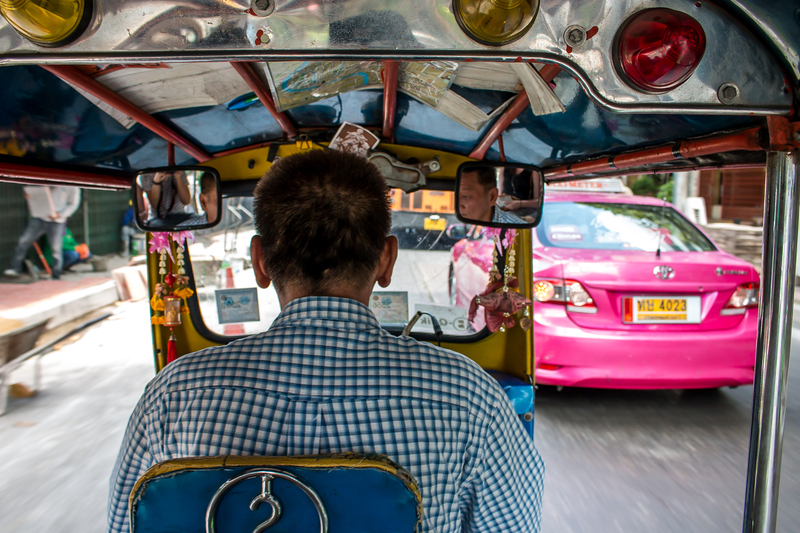 A juxtaposition from the hectic and bustling cityscape of Bangkok! 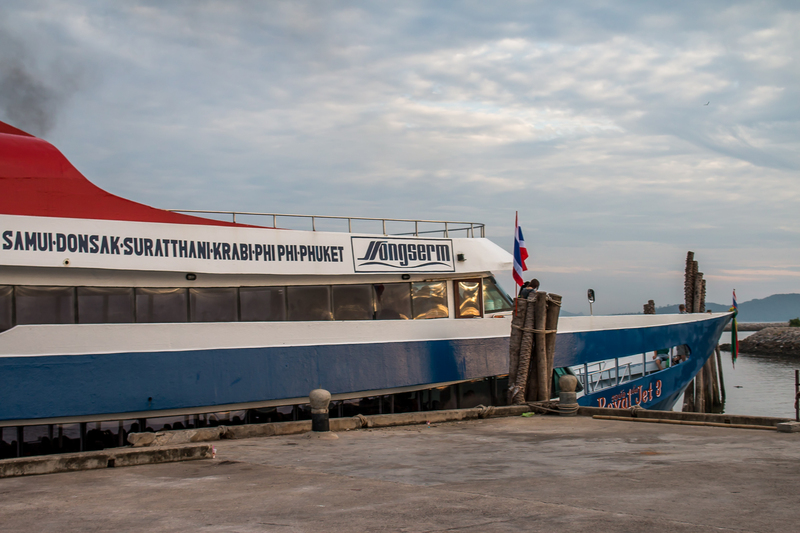 We used the company Songserm to get us to Koh Tao, which was just a couple of hours ferry ride across the ocean. 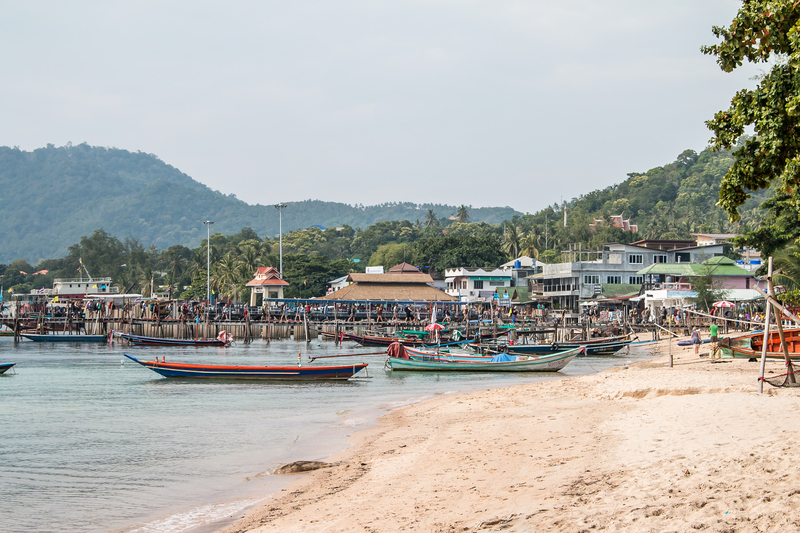 Our first island stop was Koh Tao – nicknamed ‘Turtle Island’. Greeted by a rickety old pier and heckles of taxi offers from left, right and centre, we made our way onto the island to be greeted by our hotel driver. 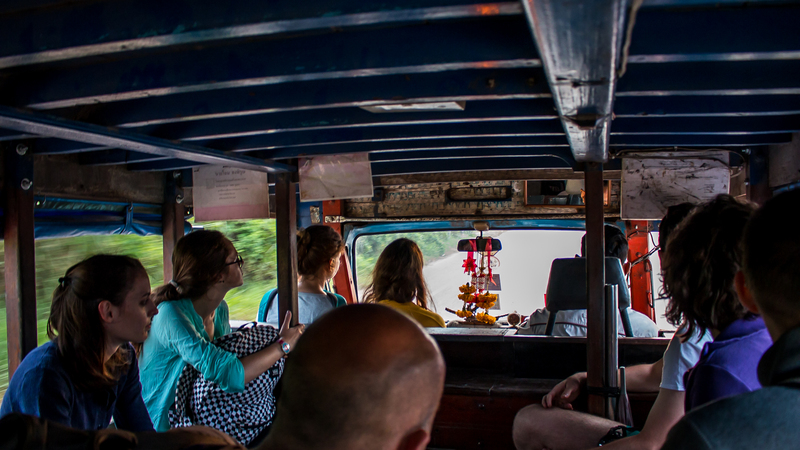 We made our way across the island to Chalok Baan Kao village, ascending up a steep hill to Chintakiri Resort, our island home for the next few days. The resort, hidden in the lush green mountain garden, overlooks the beautiful turquoise ocean and golden sands 200m below. We stayed in one of the 19 deluxe tropical bungalow cabins, with our balcony providing great views across the island and out to sea. The first of our island hopping adventures was complete. We spent 4 days exploring the lush, green, tropical island; paddling along the shore, enjoying cocktails in beach bars and exploring the local villages. 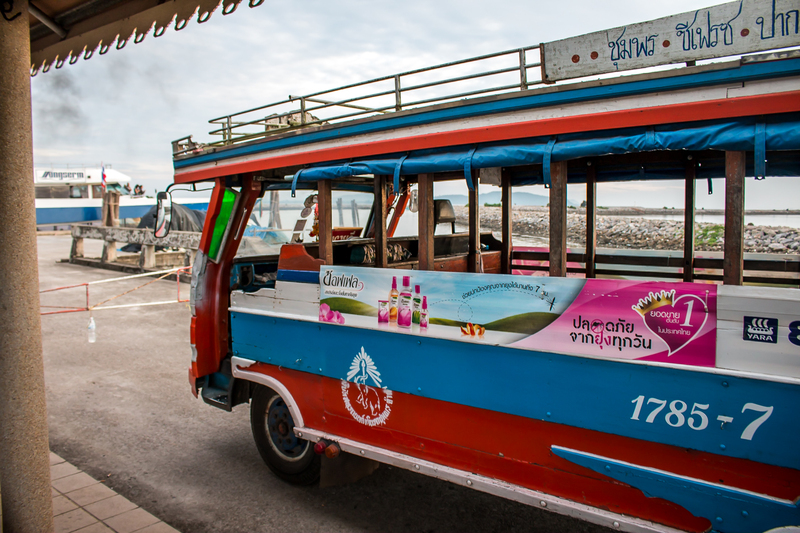 After our 4 days on Koh Tao, we then caught a Lomprayah ferry to Koh Phagnan for 2 days, then onto Koh Samui for a further 5. 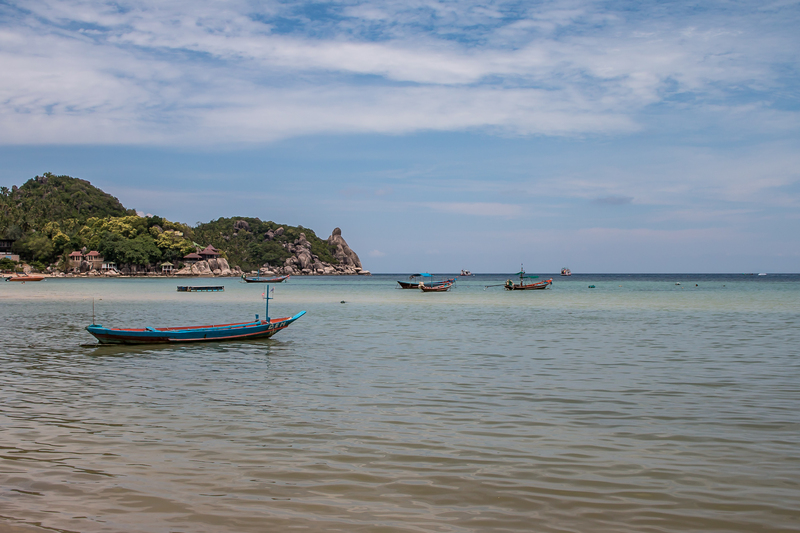 Read more about our Chumphon Archipelago adventures in my next Thailand travel post.